As America’s first “bakery tavern” readies to rise on SE Sixth Avenue, we decode the vision and menu set to debut next week. Get ready, loaf lovers. Next week, the Rose City will house America’s first “bakery tavern.” Ken Forkish is best-known as the owner of Portland's iconic Ken’s Artisan Bakery and the always-jammed Ken’s Artisan Pizza—and, more recently, author of the James Beard-winning cookbook Flour, Salt, Yeast, Water. But the perfectionist dough boy also harbors a secret love of seafood shacks, steak frites, and deep fryers. Now he's merging his various obsessions at Trifecta Tavern and Bakery, scheduled to open some time next week at 726 SE 6th Ave. Naturally, bread will be everywhere—think buckets of steamerclams with grilled levain bread coming off the wood fire and double pimento cheeseburgers on just-made brioche buns. Most importantly, Forkish—after a few busy years writing and running his "Ken's" empire—is returning to the oven. 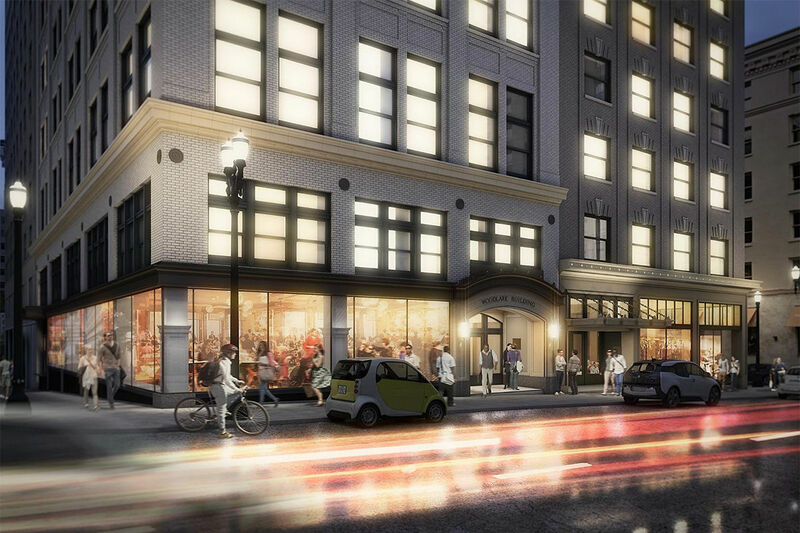 The 5,000-square-foot multi-use space will house a baker’s laboratory for small-batch breads, laminated pastries, and croissant experiments sold at a daytime pastry counter. 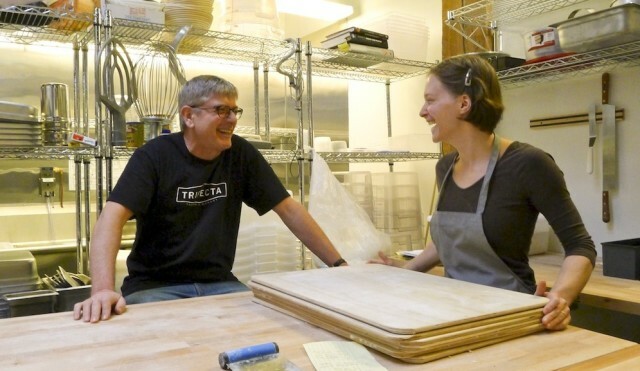 Trifecta Bakery will feed ideas to the space's 90-seat restaurant and bar, where a nightly menu stands at the crossroads of an East Coast seafood shack and a Parisian brasserie, with detours into Southern soul, French fry geekery, and Oregon seasonality. 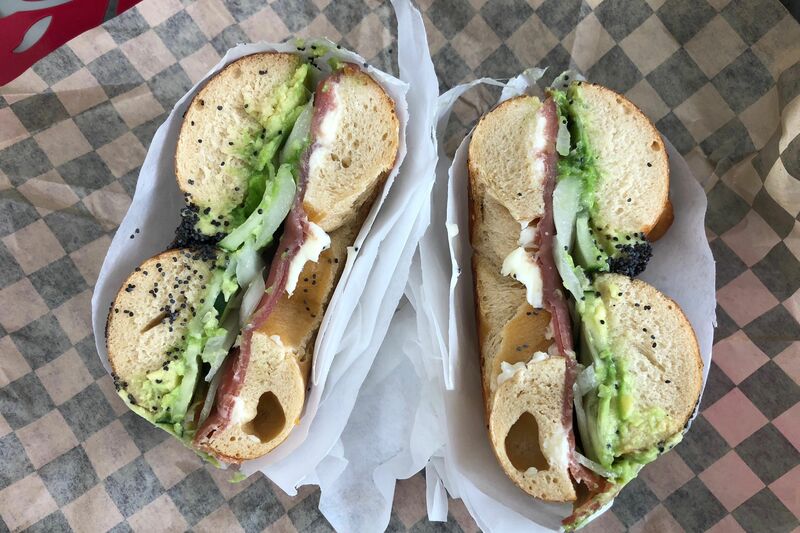 As Eat Beat first reported in January, Trifecta's home in the former Spike’s Auto Upholstery space stands one block behind SE Morrison's Bunk Sandwiches and Lady Luck Tattoo Studio. 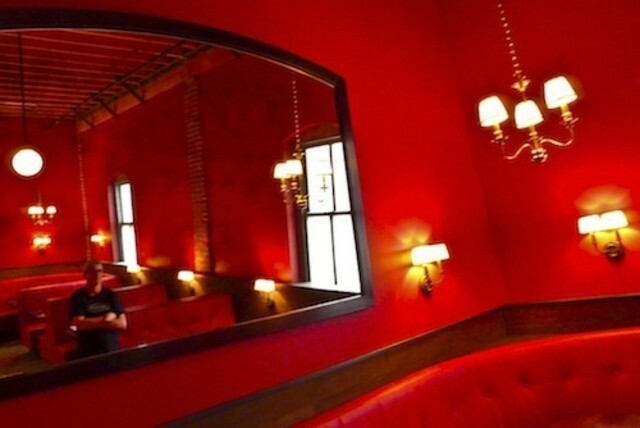 Next door is Voicebox, Portland Monthly's pick for best new karaoke bar in 2012. It's a new world indeed for one of the country’s premier artisan bakers. We recently peeked inside the doors—and Forkish's mindset—for a taste of things to come. • Trifecta is rolling in dough: The surprises will roll out throughout the day, beginning at 8 am, Wednesdays through Sundays. That's when a grab-and-go collection of breads, croissants, and other viennoiserie pastries (made from yeast-leavened dough) will crowd the marble pastry counter. Expect some usual suspects from Ken's Artisan Bakery to start—boffo boules, levains, and baguettes. But also watch for little-seen breads from Forkish's book along with twisted levains and morning pastry experiments over the new few months. Chocolate caramel croissants are in the works, and Forkish is busy perfecting a honey rye croissant. Most exciting is Forkish's plan to yank fresh-baked bread from the lab's Italian deck oven throughout dinner service, served gratis to diners. Fresh-churned butter, on the other hand, will command a $3 price tag. 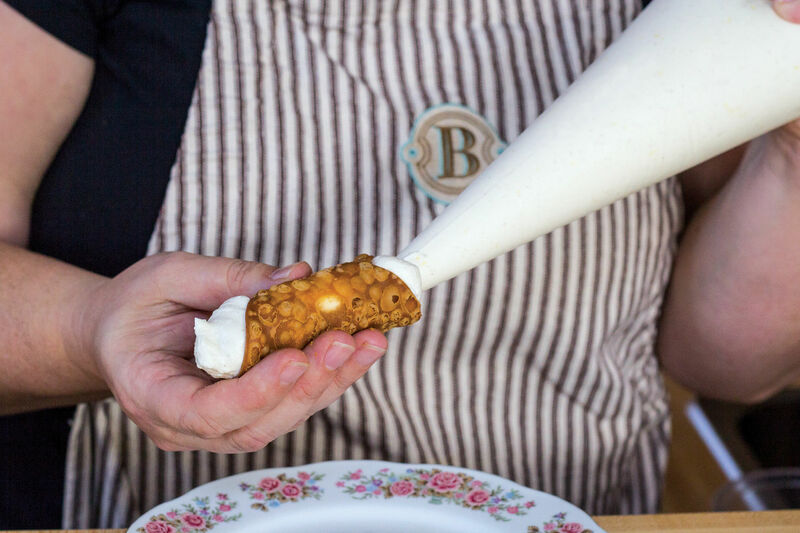 "It's very labor-vintensive to make your own butter," says Forkish. "We can't give that away." • Can we sit in the booth? Of course you can! No freestanding tables are in the house. 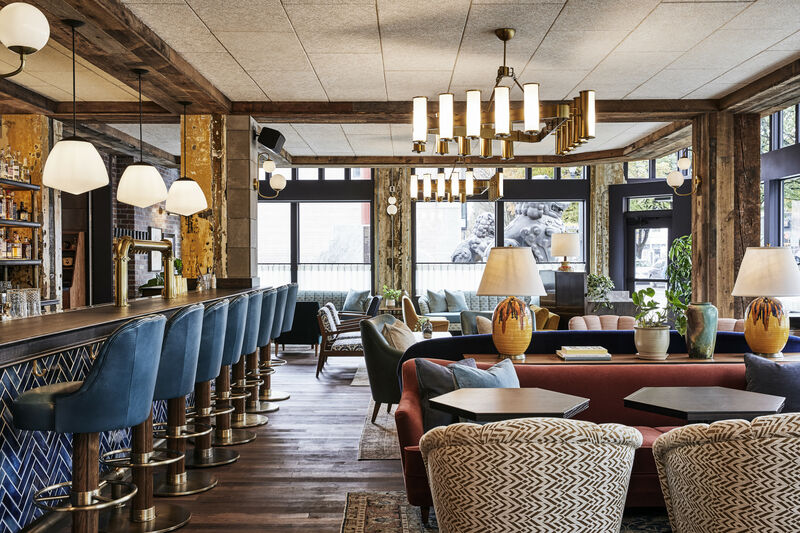 Fourteen high-back leather chairs line a marble bar beneath hand-blown glass light fixtures shaped like whiskey jugs. Otherwise, it's booth city. Compact and jumbo options hug the narrow bar space and occupy the entire back dining room, a kind of red-light district with red booths, red walls, and mirrors, with no distractions on the walls. "The art will be the people," says Forkish. • Meet pastry gal Eve Kuttemann: As a pastry collaborator and sparring partner, Forkish tapped a rising baker talent whose sweet resume stretches from the Michelin-starred L'Atelier de Joel Robuchon and Le Relais du Parc, both in Paris, to Portland's modernist think tank, Castagna. Eve Kuttemann, 31, plans to unleash her love of French comfort desserts, including daily cakes, the airy, sugar-rolled puffs known as "nun's farts," and baba au rhum, an old-school, booze-saturated, raised yeast cake still riding high on the Michelin circuit. But Forkish is also on an ice cream bender. In the works: a yeasty, "morning bun" ice cream infused with his popular Ken's Artisan Bakery pastry, alongside flavors like "brioche" and "peas and mint." Says Forkish: "We better make ice cream. I just bought a $3,000 Musso ice cream maker."